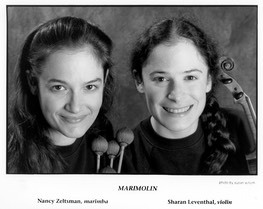 Marimbist Nancy Zeltsman and violinist Sharan Leventhal performed together between 1985 to 1996 as the duo Marimolin. Since 2015, they have reunited for occasional performances. 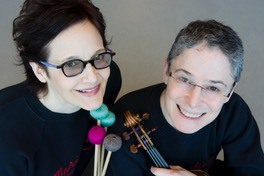 Zeltsman and Leventhal were introduced in October 1985 by composer Robert Aldridge who invited them to play his piece Combo Platter for violin, alto saxophone and marimba). They founded Marimolin shortly following. 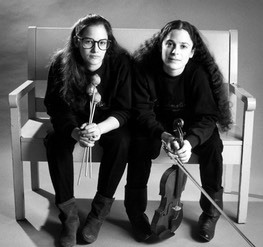 In May 1986, their formal debut recital was recorded by WGBH-Radio. Marimolin has evidently made many friends, for there were a great many more people in attendance than you might expect. Marimolin performed across the United States, in Puerto Rico, England, the Netherlands, Sweden and Austria. Venues included the Tanglewood Music Center, Ravinia Festival, Huddersfield Festival (England), Purcell Room at the South Bank Centre (London), De Ijsbreker (Amsterdam), Weill Recital Hall at Carnegie Hall, Merkin Concert Hall, Miller Theater at Columbia University, and the Knitting Factory (New York), Jordan Hall at New England Conservatory and Berklee Performance Center (Boston), three Percussive Arts Society International Conventions (including 2017), and the Chamber Music America National Conference. They're very physical players, and they exude excitement. 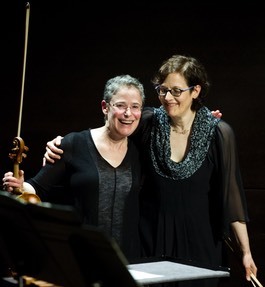 Zeltsman dug into her bars the way a good pianist digs into the keys, and Leventhal glided around her strings with vigorous precision. 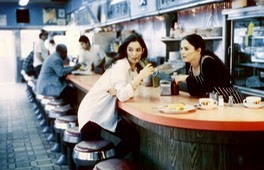 They appeared on WGBH-Radio Boston, WQXR and WNYC-Radio/New York, B.B.C. Radio/London, and Swedish and Austrian radio, and presented master classes at numerous schools including Manhattan School of Music, Northwestern University, the University of Michigan-Ann Arbor, and the Royal College of Music (London). If you haven't heard that Marimolin recording, you've mssied something. Their performances are as near-perfect as anything can get. 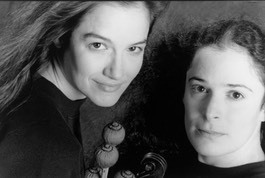 The duo recorded three CDs, the first of which, "Marimolin" (produced by Gunther Schuller, released in 1988 on GM Recordings), received wide acclaim including being named "Classical CD of the Month" in the March 1990 issue of "CD Review" magazine with a "Perfect 10/10" rating (for performance/sound quality), and was nominated for a Grammy in the chamber music category. 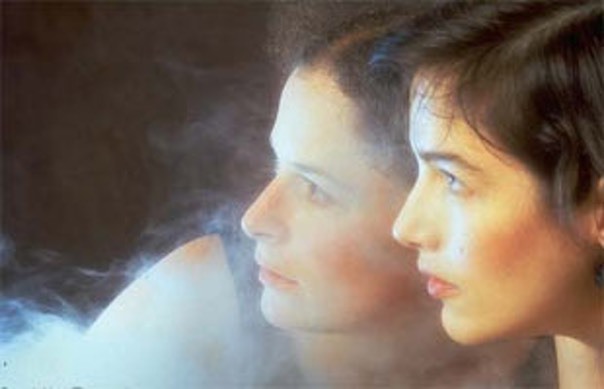 The others were "Phantasmata" (1995 on GM Recordings) and "Combo Platter" (1994 on Catalyst/BMG, now out of print). The latter was named "Disc of the Month" in the June 1995 issue of "CD Review." Do composers welcome the opportunity to write something for the violin to go with other than that clangorous monster, the piano? The marimba keeps its distance timbrally from the violin, interweaves with it cleanly, and never overpowers--it is a certified sound of our times. The impact of the repertoire garnered by Marimolin has been substantial, particularly among percussionists. 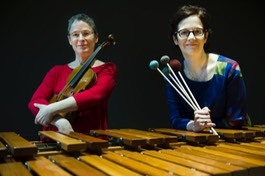 The body of through-composed works for violin and marimba far outnumbers that which exists for any other pairing of concert non-percussion and percussion instruments. - Daniel Levitan: "Duo for Violin and Marimba"
These are immensely serious artists who nevertheless understand that entertainment and enlightenment work hand in glove.